When everything is changing in this world, then why should the recruitment process of app developers be the same? We have seen a drastic change in the mobile technology over the last few years. With the drastic advancement and growth in the usage of Smartphones, there has been a huge demand for mobile applications. This immense demand of mobile application has given birth to mobile application developers. Every company’s success mainly depends on its employees and this is the same in the case of the app development companies. If an app development company will not have an efficient group of designer and developer, it cannot think of a prospering future. To make their fortune bright and assured, companies practices a strict procedure of hiring developers. Such procedures require a developer to go through multiple rounds and most of them are even useless. Such recruitment process and methods make a developer feel like a convict as if he/she haven’t come for the job but is on court’s trial. There are many advantages of following a strict selection process, but as we all know – advantages and disadvantages go hand in hand like an old couple. Don’t need to think of a name out of our mobile world and take an example of Steve Jobs, the father of Apple Inc. Being a dropout, Steve Job has made a significant mark in the techno world. If qualification would have been everything, maybe we would have known Apple as a fruit only. By this, we meant to say that qualification is not everything. One should also have the skill and more importantly - zeal to do something exceptional and innovative. And, this is what we aim to do at AppFirms. AppFirms believes in encouraging each and every app developer (whether individual or a company) to contribute and innovate something unusual for the client and for themselves. And, that’s why AppFirms states – “No Interviews and Only Reviews”. By this, we mean that an app development company (or individual) doesn’t need to go through all that interview web cycle at AppFirms. One just needs to enlist themselves at AppFirms and include some reviews from their existing or past clients. 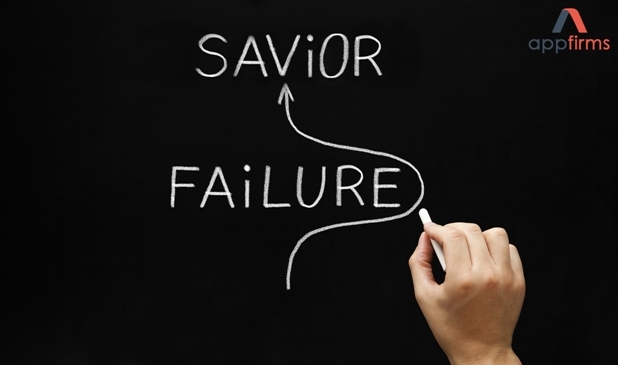 Moreover, AppFirms’ gates are not closed for beginners and startup app development companies. AppFirms is like a family where everyone has a SAY! When looking to develop an app for your business, there are certain questions that come to mind. Whether to develop it or not? Will it be profitable for me? Which operating system to target for? And so on. While there can be a lot more questions that can give you a headache, the answer to all these questions can be given better by a developer only. Although we may not clear all your doubts related to above and other questions, but surely we can help you decide whether to hire an agency or freelancers for developing a mobile app for your business. So let’s get straight to the point. If you think of going freelance way, then you will need to assemble a team by your own as you probably might be aware that building an app requires more than just someone to write the codes. Then, you’ll also need a UI (user interface) designer with distinct expertise in designing mobile applications (Apple is known to decline apps with a user interface which is not up to their marks). Also, you will need to find someone who can test the application, and preferably, review the codes. Moreover, you will also need to hire a project manager to manage the vision and plan of your app. In case you plan to hire an agency specializing in mobile app development, you can easily get the team without much fuzz. Usually, a small agency team may comprise of a user interface designer, developers, project manager, and a quality analyst. On the other hand, large agency teams will consist of multiple levels and an extensive variety of specialists. So, it’s up to you as for whether to hire an agency or freelancers for your required project. Both have their merits and demerits. Hiring freelancers may be a tedious task but this way you can hire the best candidate for each profile while in an agency, you don’t have that option. Conversely, the coordination of team in an agency will be better as compared to freelancers. In case you only have a budget of under $10K, it’s going to be difficult to hire a “GOOD” mobile app development agency. 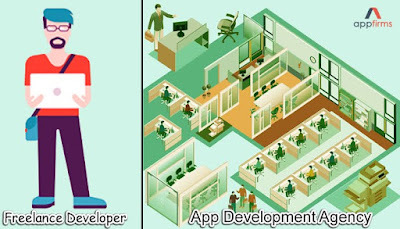 In such cases, you should go for a freelance app developer. However, if you have a $15K plus budget, you will be able to hire a “GOOD” agency. On the other hand, if you try to put together a team of freelancers. You will need to spend a lot of time just to find someone with excellent skills and experience. You may also need to test their skills before entrusting them with your project. They may also have their own pending work which could delay your project. If lucky, you might even expect an exceptional work from freelancers as each individual would be best in what they do. As technology is changing and evolving every now and then, mobile apps is not a thing that is developed once. You will always need to keep your updated with the current trends. Your app will be useless over a period of time if not kept updated. Now, imagine the issue involved in maintaining your app with a new group of freelancers every time as there can be chances that your original team may not be available always. But, in the case of an agency team, you can be assured of everything. No matter the changes are external or internal, you will always have the agency at your disposal. With an agency, you don’t need to run here and there to make changes in your apps. Whether you go for hiring a freelancer or an agency, it all depends on your budget. To ease and make things simple for your business, AppFirms has introduced a platform where 90% of your worries and queries regarding your app will be on them. Here, no matter what your budget, business or requirement is and no matter whom you are looking to hire – you will have the options of hiring “GOOD“ agency and freelancers as per your budget. Those who've opted from iOS to Android are well aware of the nuisance that comes with FaceTime and iMessage. Fortunately, Google has brought an answer in the form of its own indigenous messaging apps named as “Allo”. After a recent launched of Duo video messaging app in August, Google has now announced that its smart messaging app, Allo, will be released globally in coming days. 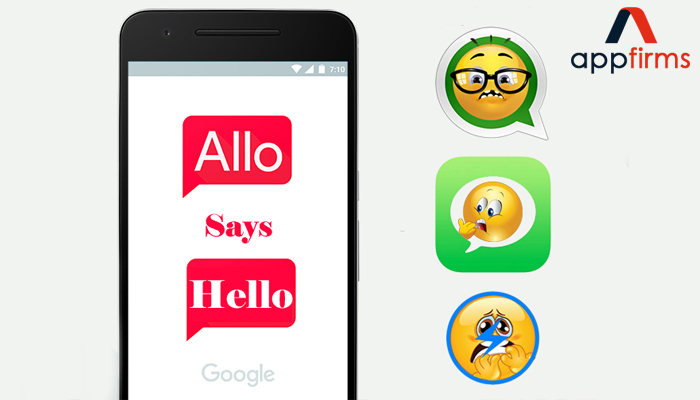 Allo enables users to send messages, images stickers, doodles and much more to each other, despite the fact whether they use it on an iPhone or on an Android device. Along with the above-mentioned features, Allo also features Smart Reply, a function which enables users to reply to messages without typing a word. It does this by learning the way you chat, so it will prompt templates for common messages and save your time. Those concerned with security feature will appreciate Allo's Incognito feature. Incognito mode will allow users receive personal notifications and send messages with end-to-end encryption just like WhatsApp. Download it right away and decide whether you want to switch from WhatsApp and iMessenger or not. Coming days are going to be interesting when more and more people try their hand on ALLO. “FREE” will, was and is one of the most delighting words. It certainly makes one pause for a moment when noticed anywhere. This might be the reason in the case of this topic also. You read the “Free” word and couldn’t control your desire to go through it. Prior to the Internet, there were only a few ways to market products or services cheaply. Now with the vast expansion of Internet, mobile and mobile applications have flooded the gates for almost every business whether small, medium or large. At present, as the Internet is swarming with marketing platforms that don't cost a single cent—you just need to know where to look. You might yearn to invest on the marketing of your neonate app, but your pocket might not be allowing you to do so. This doesn't mean that there aren't any effective ways to get your brand out there. 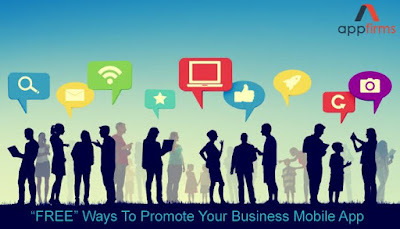 Below are numerous “FREE” ways to promote your mobile app that won't cost you a cent. Listing your mobile app on Google will allow it to get noticed more easily on Google searches. Yahoo and Microsoft's Bing are other places where you can promote your app for free. Social media isn't just for Selfies — it has now become a crucial time investment for every business app to make. You can advertise your app on your Facebook page and have a direct channel with your customers on Twitter. LinkedIn, Pinterest, Instagram are other potent means to promote your app for free. A blog will not only help your business app get its name out through followers, but it is also an excellent way to connect with your consumers more directly. But always remember to keep your blogging stream updated more frequently. A latent, abandoned blog is worthless. YouTube is another free way to promote your app by distributing creative promotional videos. Almost everyone visit YouTube every day, so it is strongly recommended to be there. A Flickr profile can also be quite helpful as you can link it to your website and app through images. In the world of consistent Googling, Search Engine Optimization cannot be underrated. Search online how-to-guide on SEO and ensure your site gets indexed by search engines. This will, in turn, make more customers get aware of your app. When you develop an app for your business— make sure you do a press release for it. It is a powerful media tool to generate publicity, and having a free distribution of them is an additional benefit. There are more than a dozen websites which you can use for your press releases. Apart from these above “Free” ways, there is another platform which can help your business app get worldwide exposure. 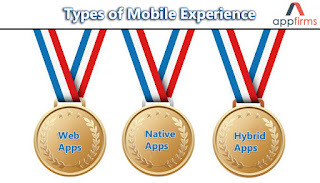 AppFirms is that platform which has the potential and reach to worldwide app developers. AppFirms is soon launching You just need to post your business app requirements and you will get access to a large number of mobile app developers. You can choose and hire services from the one who suits and fits your requirements. You can either register yourself as a free client or can go for paid listings to avail additional benefits. Visit https://www.appfirms.co/ to know more! Samsung Galaxy Note 7, one of the most anticipated phones of 2016 is under the cloud these days. As Samsung recalled the Note 7 last week after reports emerged of the phone exploding during or after charging. Note 7 was unveiled in August 2016 as the successor to the Galaxy Note 5, and competitor for Apple’s iPhone 7 which launched last week only. The Note 7 has all the top-end specifications and an enhanced stylus which is the USP of this device. However, soon after the shipping of phone started, there were reports that some phones were catching fire or exploding during or just after charging. The Note 7 has a lithium-ion battery of 3,500 mAh with fast charging. Samsung confirmed that battery issues were the reasons behind the phones catching fire, but as it was difficult to determine that which phones were affected among those sold, the South Korean company said it would replace all Galaxy Note 7 devices. This embarrassment even affected the shares of Samsung Electronics Co. which dropped the most in last four-five years after regulators and airlines from the U.S. to Europe warned the passenger against the use of this Smartphone. The troubles come at a crucial time for Samsung. The company launched the Note 7 last month to give it a head start against Apple’s new iPhone 7, which got unveiled last week. But that advantage has now fallen in the Apple’s court after Samsung has shed about $19 billion in market value. And, now the questions remain on whether consumers will be really keen to buy this Android fueled Note 7 or they will turn their back on it and go for the latest iOS 10 powered iPhone 7 and 7Plus. With the recall of all 2.5 million of the Note 7 which Samsung has already shipped, bearing a cost to the company estimated about $1 billion, it is really going to be a must and tough ask for Samsung to keep its consumer engaged. 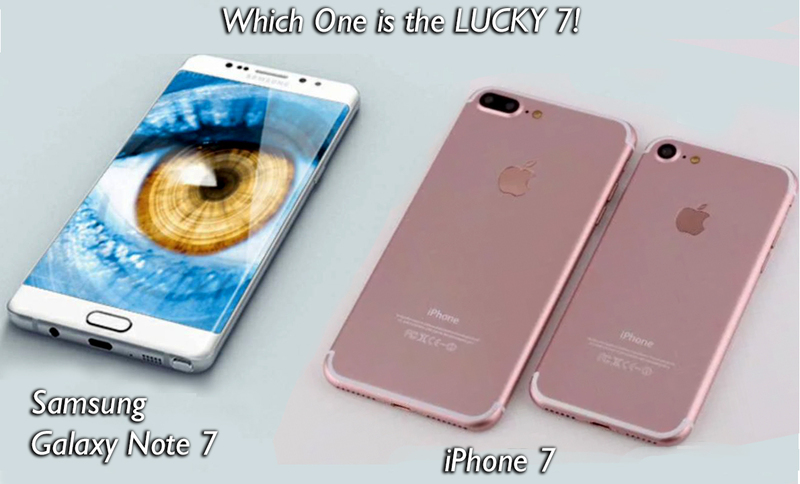 Below are the features and specification of Galaxy Note 7 and iPhone 7 and 7 Plus. More than half of all mobile applications on the market today will need to be replaced or rewritten completely in coming years. This daunting fact indicates that there is a complex, resource-rich and troublesome process involved in crafting a successful mobile application. After observing stories from hundreds of app developers, here are some reasons that are accountable for the failure of apps. Business websites and web-apps function in a similar fashion - user sign in, browse through a couple of pages, finds the page that he/she is looking for and access data to perform a required task. However, the mobile application is somehow quite different; they are built keeping a limited set of tasks in mind and allow users to quickly perform the desired tasks with minimal effort. Mobile apps should always be made simple. When you build your app like your website; your app is more likely to fail. One of the hardest aspects of the mobile app development process is creating a user-facing API which allows consumers to access your data and functionality. Once you launch your app through app stores, it means you’ve literally provided a part of your business in the hands of your users. You have permitted everyone to have access to your business. This allows cybercriminals to get to your application’s code easily and peruse it to find weaknesses, making their work simpler and increasing the threat to your organization. Most of the time, app developers spend a significant amount of money and time developing a mobile app only to find that there is hardly anyone using it. As per SAP, it has been found that more than 75% of apps are downloaded once and are never used again. It is important to collect feedback and resolve issues (if any) immediately after they are found. The more frequently you provide updates, the higher the rating will be. We know mobile app development is a time-consuming and expensive process. Even after the completion of this long and complicated route, you are only halfway through. Gaining publicity in a competitive market is not an easy task and requires even more resources in terms of time and money. CPC ads are generally a first step taken when launching a new app in the market. You can also go for print-ads in magazines and, TV spots on popular networks (if your budget allows). So, the moral of the topic is that developing a mobile app for your business is not the end of the story. The moment your app is live, is the moment the story begins! Nowadays, businesses of all kinds, whether small, medium or large are taking benefits from the customized business mobile applications, as it helps them stay gung ho and enhance productivity. In this post, we have tried to arrange some of the most popular rewards of custom mobile app development for businesses. As the business mobile applications are custom-built keeping your business needs in mind, it works like All-In-One app executing diverse functions and countering the multiple apps’ requirement. In addition, since these apps are customized to match your working style, it augments the productivity of the employee and in turn, ROI of business. By using normal apps for your daily business operations, you are risking your business at the helm of an unknown mobile app developer. In case the developer chooses to discontinue the app, then you will need to find a new app and suspend your on-going operations. However, by crafting your own custom business app, you have a complete control and will need not to depend on others for anything. Regular mobile apps are developed to handle a confined number of processes and resources. In the case of your growing business, these regular apps may not be able to hold the load. Whereas custom made apps are tailored keeping in mind all these factors, and thus, are scalable easily when the need arises. Regular business mobile apps may or may not have a dedicated security feature, which can make your business data at risk. Having a customized mobile app made exclusively for your business can strengthen your data security system, as pertinent security measures will be engaged according to your business requirements during app development. Custom made mobile apps are tailored taking into consideration your present business software and hence are assured to integrate well and function flawlessly. Customized business apps enable you to send latest updates associated with your products and services to your current customers instantly. Moreover, it enables you to access client details and receive feedback, which can be useful to enhance your long-term customer relationships. Including simple forms and surveys in your custom app can help you have the required information about clients. Apart from being an ideal way of gathering information, it also saves the time of employees and clients, since they need not have to physically provide the documents. Having a customized mobile app for your business, you can synchronize your phone with your desktop easily. So, while you are traveling, you can have easy access to all your work. Custom-made mobile apps can be useful in keeping a real-time check on the progress of your projects. Updates can be easily sent after completion of every phase, giving a clear picture of everything.